The 280,000 inhabitants of the Main-Kinzig district separate their rubbish for recycling. Recyclable waste goes in the ”green dot“ bin. And then? Thanks to well-planned districts, the waste is regularly collected from all of the households by an exactly calculated number of vehicles and is taken to be recycled. 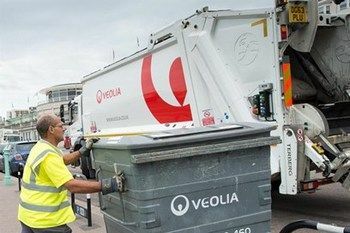 One of the biggest waste disposal companies in Germany, Veolia Umweltservice was commissioned by Germany‘s recycling system, the Duales System Deutschland (DSD), to collect recyclable waste. 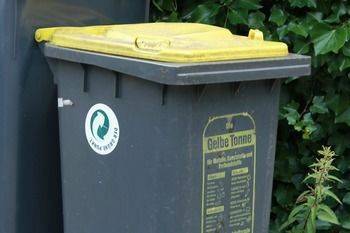 ”Every three years, DSD re-issues a tender for the collection of yellow sacks and yellow bins in the towns and communities,“ explains Project Manager Christian Grupe. Professional territory planning in advance is a prerequisite for optimally planning the trips of refuse vehicles. For this purpose, Grupe and his colleague started by grouping together the households and businesses into separate districts based on the capacity of the refuse vehicles. These districts were, in turn, clustered into collection areas that corresponded to a day‘s work. Based in Hamburg, Veolia Umweltservice is one of Germany‘s leading waste disposal companies. With an annual turnover of around Euro 1.1 billion, the company employs approx. 10,000 people in 200 service and plant facilities.